Magicball Technology (Wuxi) Co., Ltd.
Magicball has led China market for 15 consecutive years as the largest dry ice make manufacturer. Dry ice container is about 10-12 days after the payment confirmed. 4. What can I do if the machine troubled after I buy it9 We provide completely after sales service, and our engineers are available to service machinery overseas. Guangzhou Teamju Industrial Co., Ltd.
3, Where are you9 Can we go to China and visit your factory9 Yes, of course. 4, Do you have manual with the machine9 Yes, of course. 1.We are Manufacturer for refrigerated equipment machinery. Qingdao Orien Commercial Equipment Co., Ltd.
2. Main purpose : Direct refrigeration blocks ice used for human consumption, keep fresh, objects cooling. 3. Power consumption : Direct refrigeration block ice plant save electricity reaching 10% than brine system block ice plant. 4. 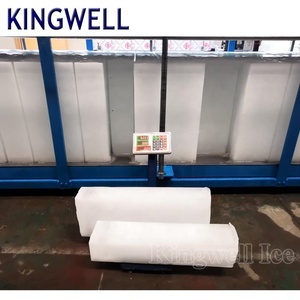 Ice falling speed : Direct refrigeration block ice maker is 1.5times faster than brine system block ice maker, ice can fall off within 25-30 minutes. Guangzhou Snowland Refrigeration Equipment Co., Ltd.
Wenzhou Cncen (Zhongcheng) Refrigeration Equipment Manufacture Co., Ltd.
Guangzhou INEO Kitchen Equipment Co., Ltd.
1.Direct evaporative block ice machine Direct evaporative block ice machine also called direct cooling/refrigeration block ice machine and Aluminum-alloy direct evaporation block ice machine. Large unit can be made into a container and ice can be made as long as users connect the power and water. 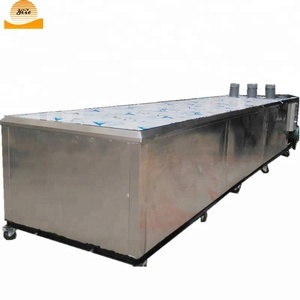 2.Brine block ice machine Brine block ice machine also calls indirect cooling block ice machine or Salt type block ice machine or Brine refrigeration block ice machine. 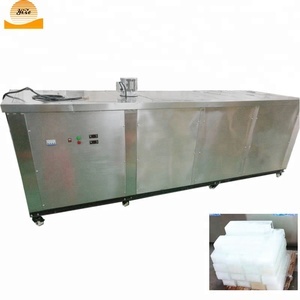 Jiangmen Pro-Taylor Refrigeration Co., Ltd.
Alibaba.com offers 10,955 ice blocks maker machine products. About 86% of these are ice machines, 3% are ice crushers & shavers, and 3% are ice makers. A wide variety of ice blocks maker machine options are available to you, such as ce, rohs, and ul. You can also choose from ice block, flake ice, and bullet. As well as from paid samples, free samples. 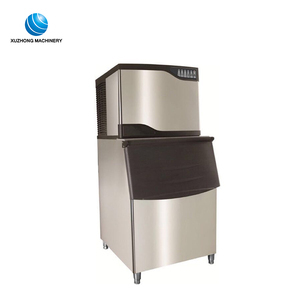 There are 10,954 ice blocks maker machine suppliers, mainly located in Asia. 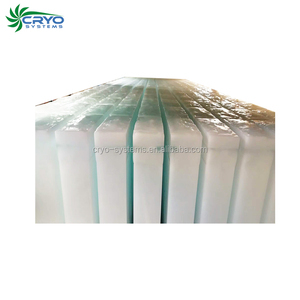 The top supplying countries are China (Mainland), United Arab Emirates, and United Kingdom, which supply 99%, 1%, and 1% of ice blocks maker machine respectively. Ice blocks maker machine products are most popular in Southeast Asia, North America, and Mid East. You can ensure product safety by selecting from certified suppliers, including 3,905 with ISO9001, 1,004 with ISO14001, and 971 with Other certification.